Depending on the nature of the engagement, Allies for Change draws in a number of resource providers, including the Ally Training Partners whose biographies are featured below. All Allies for Change engagements are negotiated by Melanie S. Morrison, Allies for Change founder and director. Melanie S. Morrison is founder and executive director of Allies for Change. She is a seasoned anti-oppression educator, activist, and author with 30 years experience designing and facilitating transformational group process. Melanie is passionate about working with individuals and organizations to better understand the connections between systemic oppressions and to nurture collaborative action and authentic relationship across differences such as race, age, gender, abilities, and sexual orientation. She believes it is possible to grow ever more aware of the depth and complexity of injustice without surrendering our capacity for compassion, joy, and hope. Melanie has provided training and consultation for a wide variety of educational and non-profit organizations including Michigan State University's College of Education, Yale Divinity School, The Understanding Race Project of Washtenaw County, and Michigan Coalition to End Domestic and Sexual Violence. She worked with Shayla Griffin, Ph.D., to design and facilitate trainings for Creating Culturally Proficient Communities, a five-year initiative on racial and economic justice in Ypsilanti Community Schools. Melanie has been a keynote speaker at national and regional conferences addressing issues of racial, disability, and sexual justice. She served as consultant to the United Church of Christ's Sacred Conversation on Race, a national initiative launched in April 2008. She co-founded Doing Our Own Work, an intensive anti-racism program for white people, and has led this program for 24 consecutive years. With Allies for Change colleagues, Melanie launched Building Alliances, Sustaining Inclusive Communities in 2013; a social justice institute that invites leaders in justice-based organizations to address the intersections of race, disability, and class. Melanie is the author of four books and her writing has appeared in numerous journals. Her latest book, Murder On Shades Mountain: The Legal Lynching of Willie Peterson and the Struggle for Justice in Jim Crow Birmingham, was published in 2018 by Duke University Press. Prior to founding Allies for Change, Melanie was executive director of The Leaven Center, a retreat and study center in Lyons, Michigan, dedicated to nurturing the relationship between spirituality and social justice. As a United Church of Christ pastor, she served three congregations; two in Michigan and one in the Netherlands. As adjunct faculty, she has taught anti-racism seminars at Chicago Theological Seminary and Methodist Theological School in Ohio. Melanie has a Masters of Divinity from Yale Divinity School and a Ph.D. from the University of Groningen in The Netherlands. She lives in Okemos, Michigan with her life partner, April Allison. Julia Watts Belser is a rabbi, scholar, activist, and anti-oppression educator passionate about working for racial justice, disability justice, and queer liberation. Julia is an assistant professor of Jewish Studies at Georgetown University. In her teaching and scholarship, she brings classic Jewish texts to bear on pressing questions of our contemporary moment: from reimagining the way we approach gender, sexuality, and disability to galvanizing communities of relative privilege to resist with environmental justice, racism, and violence. A strong supporter of the intersections between spirituality, scholarship, and social change, Julia received her Ph.D. in Jewish Studies from UC Berkeley and the Graduate Theological Union, as well as rabbinic ordination from the Academy of Jewish Religion California. She is the author of Power, Ethics, and Ecology in Jewish Late Antiquity: Rabbinic Responses to Drought and Disaster (Cambridge University Press, 2015). Her writing has appeared in The AJS Review, The Journal of Feminist Studies in Religion, Worldviews: Global Religion, Culture, and Ecology, Harvard Divinity Bulletin, and The Journal of the Society for the Study of Christian Ethics, as well as a variety of popular venues: Tikkun Magazine, Midstream: A Journal of Jewish Thought, and Fireweed: A Feminist Quarterly. Active in disability justice and global health organizing, Julia is the co-author of A Health Handbook for Women with Disabilities (Hesperian Foundation, 2007), a grassroots guide designed to help women with disabilities organize in their local communities to challenge the root causes of poverty, gender violence, and disability discrimination. Developed in collaboration with disabled women in 42 countries, the book has been translated into 11 languages and is now used around the world. She serves as core faculty on the Summer Institute of Disability and Theology, and has recently written Jewish Values and Disability Rights, a Jewish community guide on disability rights that is forthcoming from the Jewish Funders Network. Shayla R. Griffin, PhD, MSW, is a graduate of Spelman College. She received her PhD from the joint program in Social Work and Cultural Anthropology at the University of Michigan—Ann Arbor. Shayla’s work focuses on race, class, intergroup dialogue, and student/teacher relationships in high schools. Her dissertation, When the Black Kids Moved In: Racial Reproduction and the Promise of Intergroup Dialogue in an Exurban High School, was a two-year ethnographic study of race and class relations between students and teachers in an integrated Midwestern school. Shayla has extensive experience in dialogue facilitation, diversity training, and social justice education. She has worked with high school students, college students, and over 500 K-12 teachers around issues of race, class, gender, & sexual orientation. She has developed and facilitated student dialogue programs and social justice professional development trainings in over 15 school districts and charter schools in Southeastern Michigan, including Ann Arbor Public Schools, Ypsilanti Public Schools, Lincoln Consolidated Schools, Oakland County Schools, and Warren Consolidated Schools. She is currently director of Creating Culturally Proficient Communities, a five-year initiative on racial and economic justice in Ypsilanti Community Schools. In addition, she has consulted with a number of non-profit organizations around issues of social justice including Michigan Voice, the Center for Progressive Leadership, the Ruth Ellis Center, Building Partnerships USA, Michigan Roundtable for Diversity and Inclusion, and the Ford Foundation. She has taught courses on race, social justice, and diversity at the University of Michigan for the Program on Intergroup Relations, the School of Social Work, and the Department of Anthropology. She has been the recipient of a number of research grants including the National Science Foundation Graduate Research Fellowship and the Andrew W. Woodrow Mellon Graduate Fellowship in Humanities. She is currently a post-doctoral research fellow with the Center for the Study of Black Youth in Context at the University of Michigan’s School of Education. She resides in Detroit, Michigan. Her book Those Kids, Our Schools: Race and Reform in an American High School was published in 2015 by Harvard Education Press. Melinda Haus, MSW, is founding director of Justice Moves. She was born into a family and community of activists that helped form the foundation for her life’s passion working for social justice. After acquiring a disability at the age of 15, she learned quickly about the oppression people with disabilities face and later went on to work at Michigan Protection and Advocacy Services, Inc. and Michigan Disability Rights Coalition. Melinda has also been involved in many collaborations addressing injustice such as co-facilitating an institute on the intersections of race, class, and disability with Allies for Change and improving domestic and sexual violence services for people with disabilities and LGBTQIA individuals through the Partners Against Violence and Injustice in Michigan and the I Am for Survivors projects with the Michigan Coalition to End Domestic and Sexual Violence. Additionally, Melinda has experience working with the LBGTQIA community through her work at the Michigan State University LBGT Resource Center and serving on a national committee for the National Gay and Lesbian Taskforce. As a white woman, Melinda is continuously examining white privilege and racial justice through educational opportunities, but most importantly through authentic relationships with people and communities of color; all of which have gifted her with personal growth, education, and a commitment to racial justice. 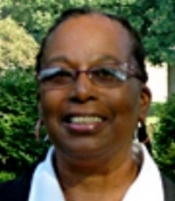 Rahnee K. Patrick is director of Independent Living at Access Living in Chicago. She is a local and national leader in ADAPT, a disability justice organization that engages in nonviolent direct action to advocate for systemic and organizational change. As an anti-oppression educator, Rahnee specializes in leadership training for young adults and has been instrumental in mentoring a new generation of disability activists across the country. In 2008, she was the recipient of the Paul Hearne Award of the American Association of People with Disabilities (AAPD.) Since 2008, she has served on AAPD’s board of directors. A member of the direct action group ADAPT and Not Dead Yet, Rahnee is also a co-founder of Feminist Response in Disability Activism (FRIDA). Rahnee graduated in 1996 from Indiana University at South Bend, where she co-founded Students Together Active and Respected (STAAR), a group of students with disabilities. Shortly after graduating, she became involved in the independent living and disability rights movements, primarily through ADAPT. In 2007, the Governor appointed her to the Illinois State Advisory Council on the Education of Children with Disabilities. Rahnee is an award-winning writer whose short stories have been published and aired on radio. She is the oldest of four children, the daughter of a Thai immigrant mother and a European American father. Dionardo Pizaña is the diversity and personnel specialist for Michigan State University Extension. He has 19 years experience developing, teaching, and facilitating diversity education programs through Michigan State University Extension, Adrian College, and Siena Heights University. He is a nationally-recognized, highly sought-after multicultural consultant, speaker and trainer. Dionardo has been active in grass-roots community organizations for years, working to bring scholars and speakers to local schools, developing and presenting powerful community educational events, and working with local projects that provide multicultural children's books and training in elementary schools.. He has received numerous awards that recognize his life-long commitment to social justice, including the Martin Luther King, Jr. Community Service Award in Michigan’s Lenawee County. Dionardo’s work as an activist and educator is grounded in his conviction that deep and lasting institutional change requires an equally strong commitment to nurturing authentic relationships across difference. He believes that authenticity is far more than mere friendship or working affiliation. It is based on trust, honesty, risk-taking, mutual responsibility, humility, and acceptance that tension in relationships is a necessary component that leads to growth. With colleagues at Michigan State University Extension, Dionardo led a groundbreaking cultural competency series in 2008-2009 entitled Developing Multicultural Competencies from the Inside Out: Skills for Lifelong Learning. As a lifelong learner around issues related to social justice and change, Dionardo has participated in foundational learning opportunities such as cultural bridges, VISIONS training, Opening Doors and The People’s Institute. His ongoing commitment to issues of social justice continues a legacy of community and social justice work inspired by his parents and grandparents. He lives with his wife Denise in Tecumseh, MI and is deeply connected to his daughter Kristina, his son Carlos, his daughter-in-law Kim, and his three grandchildren, Aiyana, Joaquin and Mateo. Monique Savage, MSW, has been the director of the Counseling Services at Adrian College for the past 23 years. She has taught classes in the Sociology department and the History department. Monique has 25 years of experience developing, lecturing and presenting multicultural and diversity programs throughout the country. She specializes in issues that impact African American women and is much sought after as a speaker. She was born in Chicago, Illinois, and raised on a small farm in rural Western Michigan. Monique attended Olivet College where she earned a BA degree and received her MSW from the University of Michigan. She has worked for the Adrian Training School (then the Girl’s Training School) and the State of California Department of Social Services. She has partnered with Michigan State University Extension diversity training team for the past 10 years and was a frequent presenter at the Leaven Center in Lyons, Michigan, a place that promotes issues of peace and justice. She co-founded the Woodson/Wheatley children’s reading program and the Christ Temple Children’s writing club. She has been the recipient of the Martin Luther King, Jr. Community Service Award award, the Hispanic Heritage award, the Phenomenal Woman award, and the NAACP Humanitarian Award.